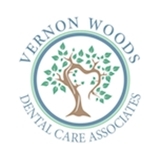 Vernon Woods Dental Care Associates (Sandy Springs) - Book Appointment Online! Vernon Woods Dental Care Associates is proud to bring high quality cosmetic dentistry, general dentistry, and periodontal services to Sandy Springs. We provide gentle dental care to patients of all ages in our metro Atlanta dentist’s office.Our team at Vernon Woods Dental Care includes a general dentist and a periodontist. We make it easy to receive all your dental service in one convenient and comfortable location. Dr. Kathy was incredibly kind, patient, and quick. Her dental work is excellent. I would highly recommend her dental practice to anyone.